Today German power, chassis and cooling manufacturer be quiet! 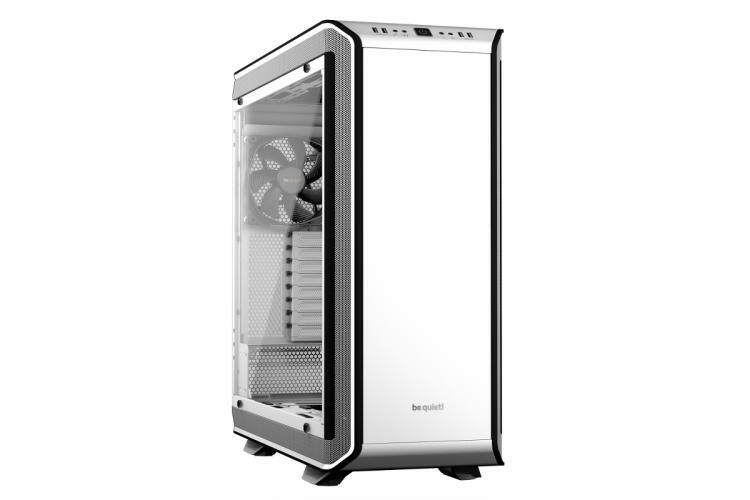 are taking the wraps off another subtle update to their range of PC system cases. The Dark Base Pro 900 White Edition is pretty much exactly what you might expect: the Dark Base Pro 900 design (which achieved our Gold and Creative awards when we reviewed it last year), but with a white interior and exterior in addition to a spot of black highlighting. The resultant case is certainly eye-catching, and like its all-black predecessor is certainly feature-rich. 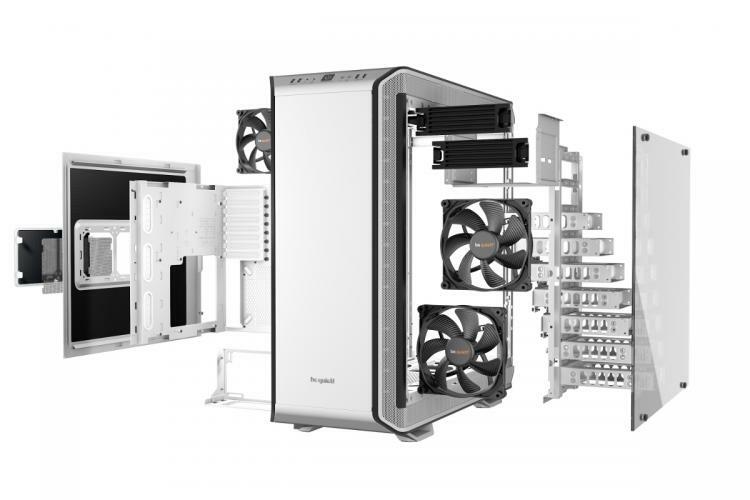 A modular design allows for the installation of motherboards up to XL-ATX is size - perfect for your new AMD Threadripper or Intel Core X system - and high-end watercooling with up to 420mm radiator support. Three 140mm SilentWings 3 PWM fans come pre-installed though, so air flow for more commonplace cooling solutions should be ample straight off the bat. Be quiet! 's Dark Base Pro 900 was one of the first chassis to feature Qi wireless charging, and the feature returns in this special edition. Simply place your compatible smart device on the Qi charging surface and dispense with the fuss of additional charging cables. This new chassis is a limited edition variant, with just 2000 units produced world-wide. Each comes with an aluminium plate engraved with the units' production number. Dark Base Pro 900 White Edition is available for preorder in Europe now at a MSRP of €269 / £259 with delivery expected to start September 26th 2017. To put that into context, it's around £60 more than the regular Dark Base Pro 900, and as such is definitely a considered purchase. In the United States of America, sales of the Dark Base Pro 900 White Edition will begin September 19th 2017 at a suggested price of $259.